There will always be emerging threats in the defense sector that require the innovation that millimeter-wave technology offers. Here’s a helpful Q&A primer on millimeter-wave products – including what specialized contract manufacturing and environmental testing can bring to the table. Which defense applications need millimeter-wave frequency products? Radar, electronic warfare, airborne datalink, and satellite communications markets are especially in need of millimeter-wave products. Why? Because next-gen tactical networks and electronic warfare are transitioning to higher frequency spectrums to defend against the newly discovered threats. And with innovations like 5G and SATCOM backhaul on the rise, connectivity, bandwidth and speed are hugely important in the defense sector. What are the advantages/challenges of millimeter-wave technology? Some advantages of millimeter-wave technology include much higher bandwidth, increased connectivity with many more channels, and faster exchange of data during tactical communication. Some challenges of millimeter-wave technology include an escalation in costs and complexity as well as operational environmental challenges. Fortunately, the advantages outweigh the disadvantages. Can you explain the migration from traditional frequencies to higher frequencies? Traditionally, products with C-, X- and Ku- band frequencies were used in many applications. But as military operations became more sophisticated and congestion increased in those bands, defense contractors and original equipment manufacturers began to see a thirst for more bandwidth. (Figure 1) That’s why electronic warfare, SATCOM and datalink applications are moving to millimeter-wave frequencies. As K-, Q- and V- band technology matures, original equipment manufacturers are modifying designs accordingly to produce products that meet the needs of modern military and commercial applications. What frequency ranges are defense contractors seeking and why? Defense contractors are seeking frequency ranges from 18 to 40 GHz. The specific frequency depends on the application. (Figure 2) For EW applications, wideband and CW power are required. For datalink and SATCOM applications, narrow band and CW power are required. For radar applications, narrowband and pulse power are required. 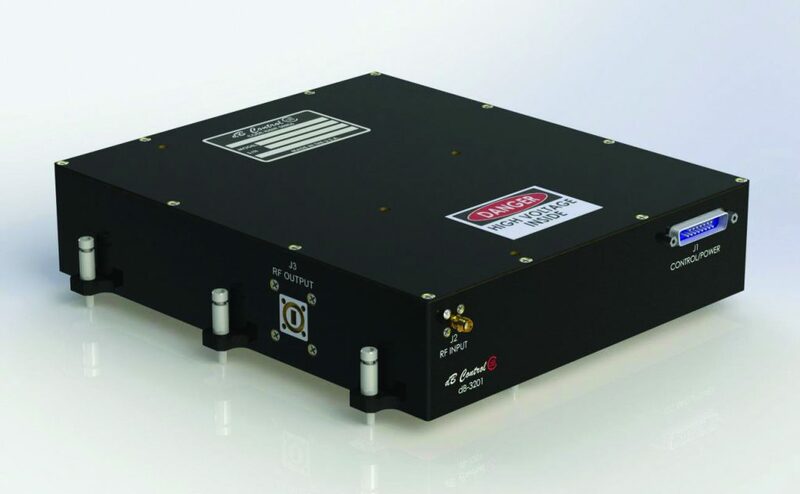 Figure 2: dB-3201 millimeter-wave MPM from dB Control (26.5-40 GHz, 125 Watts CW output power. Applications: electronic countermeasures, electronic warfare simulation). What kind of environments will millimeter-wave products need to endure? Any high-power TWTA or MPM should be equipped to withstand extremely complex conditions—and that complexity should be outlined from the very beginning. (Figure 3) For example, millimeter-wave high-power amplifiers (HPAs) will need to endure very harsh environments with extreme temperatures, excessive vibration, and altitudes about 70 thousand feet above sea level. The HPAs must be tested to extreme levels—to ensure they stay reliable even on the most rugged missions. What should the testing process look like for millimeter-wave HPAs? Once a product design is established and preproduction runs are complete, full environmental testing and stress screening is required. The extensiveness of the testing minimizes replacement costs and downtime out in the field as well as field infant mortality. Ideally, the manufacturer would have an onsite HALT/HASS machine to reduce processing time and labor costs. Millimeter-wave products also need to be tested in an automated 24-hour test cycle to ensure reliability and simulate a very long mission life in rugged settings. Environmental chambers should be programmed for custom combinations of temperature and altitude to match a mission’s profile. Additionally, vibration tables should be programed for the vibration and shock levels seen on the specific mission profile. What makes an engineering & assembly team excel at producing millimeter-wave products? Reliability has to be incorporated from the very beginning—during the initial design phase. When you think about the end products, lives are on the line, so a manufacturer must master repeatability and reliability. Defense contractors should look for a manufacturer with a team of experienced design engineers, dedicated test engineers and technicians. People on the manufacturing team should be specifically trained to work with high-voltage electronics. The manufacturer should have a proven track record of production units for airborne, maritime and ground mobile deployments. Established in 1990, dB Control Corp., a subsidiary of HEICO Corp., supplies mission-critical, often sole-source, products worldwide to military organizations, as well as to major defense contractors and commercial manufacturers. The company works closely with OEMs to develop high-power, millimeter-wave or high-efficiency TWTA and MPM products. dB Control also offers specialized contract manufacturing, transformer winding and testing, full vacuum encapsulation, pressure cure, conformal coating and repair depot services from its modern 40,000-square-foot facilities in Fremont, California. More information is available at www.dBControl.com.